Although all you need is your thoughts to ask the angels to deal with your worries, sometimes as human beings we find it more reassuring to use material objects, we find it more comforting or believable. This can be particularly true for someone who finds it difficult to believe in angels or the existence of angelic assistance. 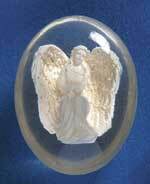 By using an object as a focus, such as the use of a crystal, an angel figure or my personal favourite an angel worry stone we can reinforce the thoughts we send up to the angels. 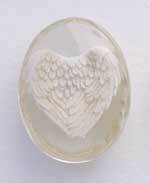 I just hold my worry stone in my hand whilst asking for angelic assistance, it helps me to focus on my problems; I find it also makes it easier to release my emotional ties to those same worries. 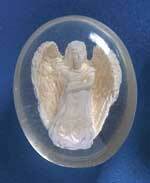 Non believers can be offered an angel worry stone as a good luck charm, protector or as a comforter. 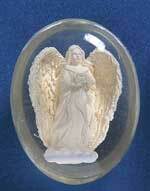 Approximate size 1.5 x 1.75 inches (35 x 40 mm), each polystone angel inside acrylic case, comes together with leaflet containing words of encouragement. As described in my previous article about angel wishes , your thoughts are your connection to the angels & the spirit realm, simply by thinking about your problems you are already starting to form an angelic link. Once you have a specific problem that you need help with, you can ask the angels for help, all you need to do is: think about your specific problem, e.g. “if you want me to carry on, please give me some better work”, don't just think “solve all of my problems”. Ask a specific angel, i.e. Archangel Michael (the protector) – he can help with feeling of insecurity and fear, he also helps lightworkers & spiritual teachers. 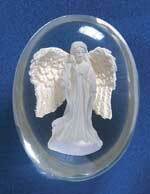 Ask your own guardian angel (you don't need to know their name). Or simple ask "angels please help me". IMPORTANT: Angels are not here to give you every whim & fantasy that you ever dreamt of, they are a support system whilst you walk your life's path. They help to resolve problems that we face along that journey, these may be as small as finding a car parking space, or as huge as healing the planet. 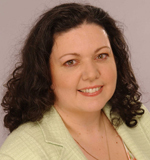 They will help to manifest the solution to your own personal issues. Therefore they normally provide just enough to meet your needs, but not always your wants. By considering what your true needs are, you are not only taking on personal responsibility for them, but more importantly you are also beginning to come to terms with those issues, and starting to do your personal best to resolve them. I dream of winning the lottery, the good I could do with the money. It's a want; I don't need it to get me through my life; so I have only ever won once, the grand amount of £10. I was feeling a bit low; on the verge of giving up all my spiritual work. I said to my angels “if you want me to carry on, give me some better work”, within 10minutes the phone rang, I was asked to exhibit at a psychic fair in Bristol (I hadn't done this work before, so it was a major step forward for me), shortly afterwards the phone rang again, this time I was asked to attend a second even bigger exhibition, as usual the angels came up trumps!